Beebom is a consumer technology platform that reaches more than 20 Million people a month. We’re serving people with the hottest tech news in the town through our App, help them make better decisions through our detailed reviews on the website, and produce high quality videos on the tech that actually matters the most to the end consumer. Our focus is on building an in-house team of talented geeks who can write quality tech resources for our ever growing reader base. The candidate will be responsible for regularly producing quality content, researching on newer ideas and testing out gadgets/apps sent by companies on day to day basis. 1. 0-5 years of experience in writing for technology blogs or have been publishing articles on one’s own blog. 2. Have good command over English language. 3. Must be good at explaining things. 4. One who’s passionate about trying new apps, software, technology, etc. 3. Network with other startups over beer and snacks in the unwind sessions that happen every Friday at 91Springboard. 4. While working you can refresh yourself by playing foosball, competing with others on Xbox gaming sessions or have a cup of coffee (it’s free and always will be). At Beebom, we produce great content, and for that content to reach masses, we need to optimise our website to Google’s SEO guidelines to perfection. So, we’re looking for an excellent candidate who has years of experience of managing SEO of various online publications/high traffic blogs, etc. The candidate should have great expertise with state of the art SEO tools, always up-to-date with recent updates in SEO algorithms, and can take up the challenge of making Beebom rank on some of the most competitive keywords out there. At least 4+ years work experience as SEO Analyst, SEO Executive, SEO Specialist or similar role in news publications, or high traffic blogs. Expertise in SEO analysis tools such as SEMRush, Moz, SimilarWeb, KeywordPlanner, Google Webmaster, mixpanel, CleverTap, etc. Strong knowledge of Google ranking factors and search engine algorithms. Great hold on both On-page and Off-page SEO implementations. Should have a knack for problem-solving. Work closely with the editorial team and educate them on the usage of relevant keywords in the stories to improve the SEO ranking. Coordinate with the development team to ensure that the SEO strategies and practices are properly implemented with newly developed code. Making sure we are following up with latest Google news trends to get maximum traffic from Google news. Doing Keyword research and competitors’ analysis for publishing new content on a regular basis. Setting & prioritising Off-page SEO activities according to set target. Updating and maintaining the keywords where Beebom’s stories come up at the top of the search results. Strictly implementing link building strategies. As a video editor, your job will be to produce high quality premium videos from raw video footage, produce creative short videos out of recorded clips or screen recordings, or create animated ones which can later be made available to our audience. Must have good knowledge of Photoshop/ Illustrator/ CorelDraw, etc. 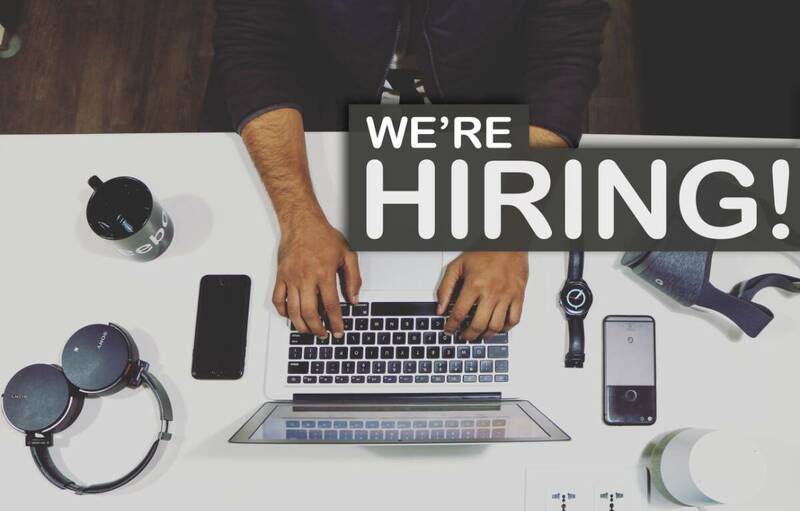 At Beebom, we are looking for a creative mind who can develop out-of-the-box campaign for Social Media channels like Instagram, Facebook and Twitter, etc. Also, the candidate must be passionate about technology, gadgets, etc. Knowledge of Facebook Advert Manager and Google Adwords is a plus. The candidate will be responsible for designing creative social media posts, building strategy for videos on Facebook & Twitter and interacting with brands for creative promotional campaigns. Formulating original ideas that bring simplicity and user friendliness to complex design roadblocks using best practices and standards. Working closely with editorial and social media team to keep a track of what’s new in the tech, and based on that building future campaigns. Networking with young minds on every Friday at 91Springboard (startup hub) with beer and snacks. You can refresh yourself by playing foosball, competing with others on Xbox gaming sessions any time.